Brunner belted a two-run home run in the bottom of the eighth inning to give the Titans (5-3-1 overall record, 1-1 in league) their first league win of the season. 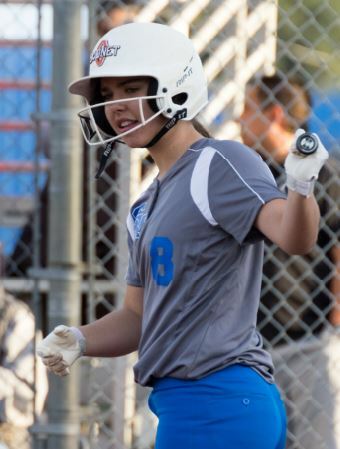 She finished the game 2-for-4 with a run scored and two runs batted in. The Rams struck first in the top of the second, but two runs in the bottom of the third inning and another in the sixth frame erased the deficit. Temple City scored the equalizer in the seventh and took the lead in the following inning, setting up Brunner’s big play. 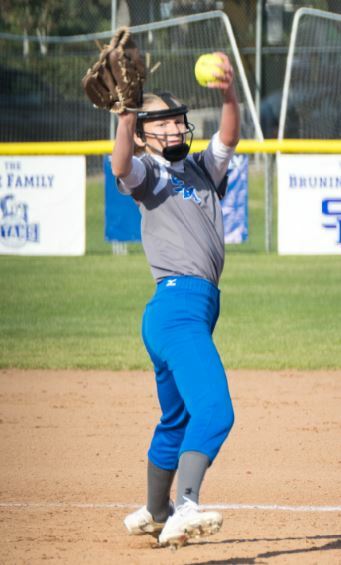 Claire Streeter was stellar in the circle against Temple City with 15 strikeouts and one earned run. 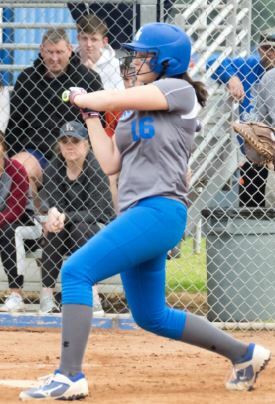 Bella Escobar scored a run and helped the Titans win their first Rio Hondo League game of the season. Charis Chung also collected two hits, drove in a run and scored once, Sierra DuNah was 2-for-3 with an RBI and Kinu Takasugi belted a triple, scored two runs and drove in a run. Justine Huang singled and Bella Escobar scored a run. Pitcher Claire Streeter went the distance and allowed four runs (one earned run) on six hits and three walks and struck out 15. 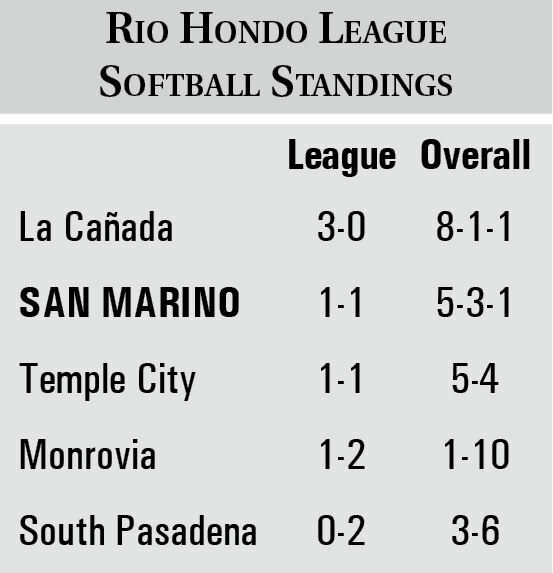 San Marino (5-3-1 overall record, 1-1 in league) will travel to South Pasadena for a league game this Friday, March 15, at 3:30 p.m. 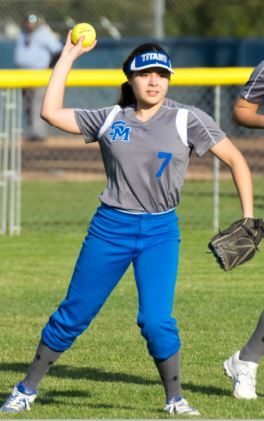 The San Marino High School varsity softball team clobbered Rancho Dominguez of Long Beach, 20-4, in the Lincoln Classic at SMHS on Saturday. The Titans improved to 5-3-1 on the season with the win and also recorded their second victory of the tourney. The Titans opened the Lincoln Tournament with a 9-4 victory over visiting Los Angeles King/Drew last Saturday. The visitors collected six hits in the contest and mustered four runs against San Marino. However, the Golden Eagles could not contain the Titans’ offense, which scored six runs in the bottom of the second inning.